EAST PALESTINE–John Bruno, 94, formerly of Kenmar Drive, died at 3:38 p.m. Saturday at the Salem East Healthcare Center, where he had been a patient. 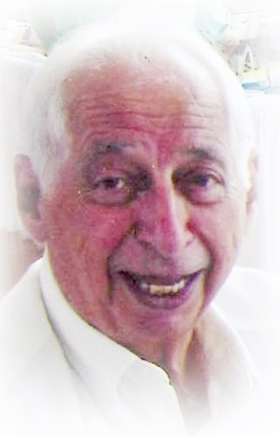 Mr. Bruno was born Jan. 2, 1925 in East Palestine, a son of the late James and Raffaela Bozzo Bruno, and was a lifelong resident of the community. He had been employed at the former Babcock and Wilcox Tubular Products Co., Beaver Falls, Pa., for over 30 years prior to his retirement. He was a World War II veteran having served with the U.S. Army. He was a member of Our Lady of Lourdes. He was preceded in death by his wife, the former Margaret “Peg” McCormick, whom he married Oct. 20, 1962. He is survived by his stepchildren, Dianne (Allan) Cope of Columbiana and John (Patty) McCormick of Massillon. He also leaves four grandsons and five great-grandchildren. A Funeral mass will be at 11 a.m., Saturday at Our Lady of Lourdes Roman Catholic Church with Father Christopher Cicero serving as celebrant. Burial will follow in St. Mary’s Cemetery. Friends will be received from 5 to 7 p.m. Friday at the Linsley-Royal Funeral Home. Military rites will be conducted by the combined units of the American Legion Post #31 and the Veterans of Foreign Wars Post #4579.